Dr. Bijal Mehta is alumni of the prestigious Topiwala National Medical College and B.Y.L. Nair Charitable Hospital, Mumbai from where she has done both her MBBS and MD-Skin. She has been associated with Minal Specialised Clinic Dermatology for over 8 years now. 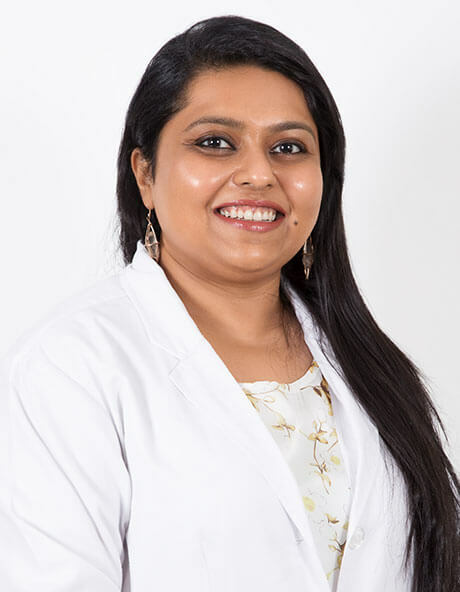 She is a member of prestigious societies like Indian Association of Dermatologist, Venereologist and Leprologist (IADVL), Association of Cutaneous Surgeons of India (ACSI) and European Academy of Dermatology and Venereology (EADV). She is the recipient of Dr. Arvind Lonkar award and Dr. A.C. Parikh award by the IADVL Maharashtra branch. She has published 7 articles in various international journals and has presented over 20 papers and posters at various International conferences. She has co-authored a chapter on “Laser Therapy in Pigmentary Disorders” in the Cosmetic Dermatology Textbook: A practical and evidence based approach. Her Areas of Expertise includes Acne and Acne Scars treatment, Lasers in Dermatology, Psoriasis and Paediatric Dermatology.